Autumn arrives and some projects are completed. 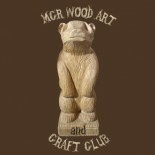 MWACC began a new term of carving this September.We are looking for new members so if you are interested check out the contact page and get in touch. Tuition is on an individual basis so you haven’t missed anything and you can join us anytime. New members are welcome to come and have a look and see if they like the set up before committing to anything. Here’s what a couple of people have been up to over the summer. This entry was posted on September 26, 2013 by mcrwacc in wood carving and tagged adult learning, art and craft, club, life long learning, manchester, night class, puppets, sculpture, wood carving.